In Episode 7 of ‘Watch & Know Before You Grow’ were talking about Botanicare’s nutrient solution reservoirs. Today we’re looking at a 20 gallon reservoir that I just installed on my aeroponic / nutrient film technique flowering unit. Stop using non-food grade totes and containers from the hardware store and step it up to Botanicare’s made in the USA, professional grade, BPA free, ABS plastic reservoirs. The low profile design is ideal for my growing situation because it gives me more room for taller plants. They come in all shapes and sizes, and they’re super sturdy due to the thick plastic and gusseted sidewall design. It’s really nice to have the true gallons reading on the side of the reservoir and there is plenty of extra room for aeration between the lid and top of the water fill line. 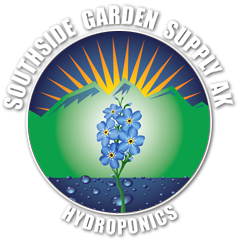 You can buy these at any of the three locations of Southside Garden Supply in Anchorage, Alaska or online at www.sgsak.com .